(PRESS RELEASE) – Janathakshan Gte Ltd and People in Need, Cz conducted a biogas awareness and promotional workshop on renewable energy, biogas and waste management for 65 technical officers on July 29, 2016 at the Western Province Waste Management Authority. The technical officers belonged to local authorities in Western Province and are those in-charge of construction. The workshop was conducted under the EU-funded SWITCH Asia initiative on “Up-scaling Biogas Technology for Sustainable Development and Mitigating Climate Change in Sri Lanka”. The workshop focused on the importance of addressing the Food, Energy and Environment or FEE crises, the impact of increased personal consumption against the decreasing amount of natural resources and the availability of biogas technology as an alternative to a civilisation heavily dependent on fossil fuels. “Biogas technology used to be popular a few decades back but with a different intent of when there was less access to electricity. However, priorities have changed today and we have shifted from gaining access to electricity to trying to manage waste in limited land area.With this training designed for construction officers in biogas units we hope that the units constructed at local authority level will be doneat higher quality standards,” said Project Manager DamithaSamarakoon. The Project’s objectives includes creating partnerships in the five select project areas in order to not only ensure sustainability of the project following the project period but also to empower local authorities in the promotion of biogas in their localities. “It’s important for us to start a large scale project on managing waste in Western Province. 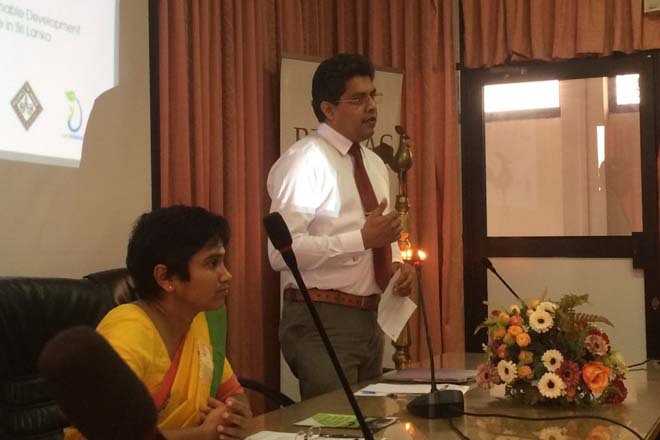 We should be able to recycle at least 30% of the degradable waste collected given that 60% of waste is already degradable especially if segregated at disposal,” said Waste Management Authority Director NalinManapperuma. The project is focused on up-scaling biogas technologies for sustainable development, responsible tourism, economic growth contributing to poverty reduction and climate change mitigation in Sri Lanka. The project targets tourism Small and Medium Enterprises (SMEs), households and public authorities in the country while building the technical capacity of manufacture and construction SMEs in biogas technologies. The EU SWITCH-Asia initiative assists tourism SMEs and households benefit from sustainable solid waste management and cost savings through energy and resource efficiency. Tourism SMEs adopting “green” technology will also increase their marketing potential and gain the access to “green finances” provided by micro-finance institutions.